A police officer will face no punishment after accusations he had lied to Barclays bank were not proven. A gross misconduct panel decided 41-year-old PC Stephen Watson had not breached the police ethics code, when his hearing resumed at Sussex Police headquarters yesterday. PC Watson had faced questions about a call he made to Barclays bank on behalf of his wife’s grandmother when he appeared at an earlier hearing last month. The panel heard that on December 4, 2013, PC Watson called Barclays on behalf of the ‘fragile’ Joyce Fields to report that two ATM withdrawals totalling £450 were fraudulent, when in fact it later transpired they were made by him. The panel heard PC Watson called the bank on her behalf, saying he often helped her with this sort of thing due to her ‘fragile’ mental state and memory problems. He also said he would often take money out for her, using her card and PIN, when they went shopping with his wife, as Mrs Fields sometimes struggled using ATMs. The bank adviser agreed to refund the money and said PC Watson and Mrs Fields would have to fill out paperwork within ten days to officially report the transactions as fraudulent, or the bank would take the money back. The paperwork was never returned and the money was recovered by Barclays. His lawyer argued that PC Watson was merely acting as a mouthpiece for Mrs Fields. Yesterday’s hearing heard the family made a complaint to the police about PC Watson, who was later interviewed under caution on two occasions. Mrs Fields was unable to give evidence due to issues regarding her memory. 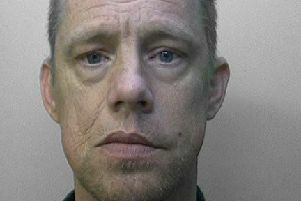 PC Watson was never convicted of any criminal activity in relation to the case. At yesterday’s hearing, the panel was tasked with deciding if PC Watson breached the police code of ethics, which states that officers should ‘act with honesty and integrity at all times’. The argument centred on whether his assertions to Barclays that the two ATM withdrawals were fraudulent amounted to dishonesty. Committee chairman Gabrielle Posner echoed the words of Nicholas Peel, representing Sussex Police, that this was an ‘all or nothing case’ and said the panel did not find the charges proved.